It was no surprise that Spanish overtures of peace and friendship with the King of Borney in 1573 were received lukewarmly; and even this is an understatement. 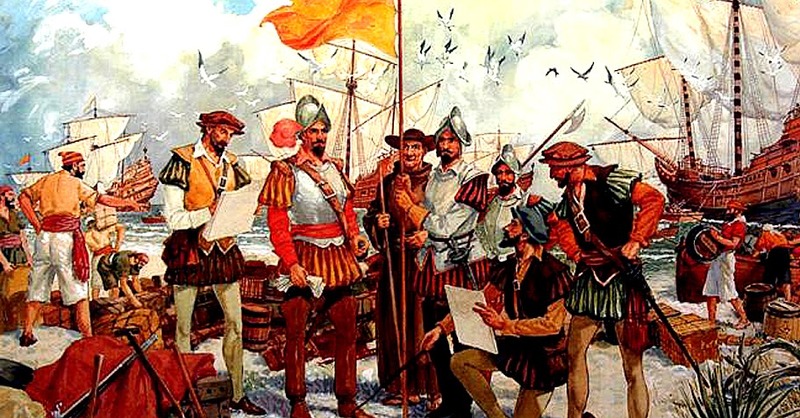 The Spaniards, after all, were encroaching upon lands where Borney, if it did not have direct sovereignty, at least wielded apparent influence. The expedition was aborted, Magad-china related; but he also said that he had heard that the King of Borney had written to Raxa Soliman and Lacandora (Lakan Dula of Tondo) encouraging them to rise up against the Spaniards, promising them protection if they did. Thus, he would have sailed into Borney in April fully aware that he would not be extended any hospitality. If anything, the Borneyan fleet set out to meet him “three or four leagues from the city,2” forming a blockade which was as clear as a message could get. De Sande sent two Moro chiefs from Balayan, Magat and Magachina3, with a letter of peace to be delivered to the King of Borney. The two were accompanied by six other Moros, five of whom were from Balayan and the other from Tondo. It has to be pointed out at this point that the role that the chiefs of Balayan had played in this expedition cannot be understated. Spanish documents do not state this explicitly, but obviously they enjoyed the trust of the Spaniards notwithstanding the fact that they apparently had not even embraced the Christian faith. There was practicality in sending them ahead, given that de Sande’s message of peace was written in the Borneyan language and also “that of Manila” (Tagalog, or as it was spoken at the time). There was also risk, given that the King of Borney had a penchant for detaining chiefs of villages in islands to the north; albeit, there was some comfort in that de Sande’s fleet sat just outside the port. De Sande’s message to the King of Borney, Saiful Rijal5, while ostensibly to convey a desire for peace, was also noteworthy for its utter lack of diplomacy and high-handedness. After the expected offer of peace, but naturally in Spanish terms as was always the case in the Visayas and Luzon wherever the Spaniards erstwhile came to make this so-called peace, he then proceeded to ‘instruct’ the sultan. That the letter of peace would be rejected was always a foregone conclusion not just because of the way it was crafted but more because of what Borneyans stood to lose were they to accept the terms of peace. But while the fleet of Borney was brazen in firing the first artillery salvo at the Spaniards, in the end the latter’s superior firepower scattered the Borneyans and forced them into flight. De Sande himself, in his letter to Felipe II, described the hostilities, “After we had fired a number of volleys, it was God's pleasure that the Moros should be conquered and take to flight.” Rijal was forced into hiding up in the mountains while “four or five thousand who settled there” (meaning in Borney) were subdued by the Spaniards. 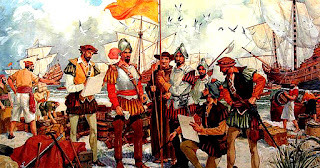 De Sande obtained from the remaining chiefs in Borney “full obedience” to the King of Spain and a promise that land would be allotted to the Spaniards for the building of a settlement. This was April, however; and whilst the monsoons would not have come yet, the heat and humidity would have been a factor especially so close to the equator as Borney was. As things happened, so many of de Sande’s soldiers fell ill, forcing a Spanish withdrawal and, therefore, a failure to consolidate their gains in Borney. While this is ultimately outside of the scope of this narrative, it is well worth pondering for a moment how present-day Philippine territory could easily have extended farther south had history panned out differently; and especially in view of the twentieth century Sabah dispute. 1 A concept in international politics in which the pursuit of an objective is made with a highly visible display of maritime might or power. 3 Probably the Magad-china of the earlier narrative; as in many instances, there was no standardisation in the spelling of names, particularly non-Spanish ones, in historical Spanish documents. 5 Early Modern Southeast Asia, 1350-1800, Ooi Keat Gin and Hoang Anh Tuan, Editors. New York 2016.